It’s time that I begin contemplating life after WRiTE CLUB (it seems like a lifetime ago since I wrote a normal post) and I’ve come up with a perfect way to help me catch up. Want to know one of my pet peeves about the way our blogosphere operates? You can miss some really awesome posts if you have to be away for a while and unable to keep up with your favorite blogs. While WRiTE CLUB was going on I’ve probably missed hundreds of quality posts. During the A to Z Challenge in April I’m certain I missed some truly outstanding posts. It’s really hard to catch up when things get like that, so what I resort to doing to get back in the swing of things is simply pick up with everybody’s latest post. You know what that means? 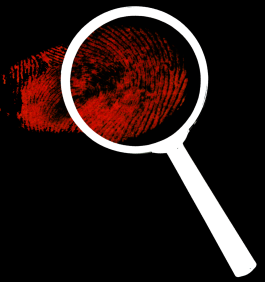 A post about the signing of an agent…missed….a book contract finalized…missed…a cry for help...missed...a birth announcement…missed…some other special event in a bloggers life…gone. I just shake my head when I think of all of the special posts I’ve missed this year. And then there are the informative posts about the topic I’m dying to know more about, yep I probably missed some of those as well. It’s for this reason that last year I hosted the Déjà vuBlogfest, and before that it was the BLOG RECYCLE STATION. Well, I’ve decided to turn last year’s blogfest (which involved participants re-posting their favorite blog offering of all-time) into an annual event. So I’d like to announce…. On December 14th anyone taking part will re-post their favorite blog offering from 2012, or one that never received the exposure it should have. I’m announcing it now, in the midst of WRiTE CLUB, because it takes almost a month for the word to spread and generate enough interest to make a blogfest impactful. If I waited until WRiTE CLUB was complete (which will be the first week of December), there wouldn’t be enough time to fit it into this year. So please sign-up to participate with Mr. Linky below, then shout out to all of your blogging friends and encourage them to sign up as well. Take the badge above and plaster it everywhere, blogging graffiti gone wild. Then on December 14th as the day unfolds and everyone hops from one blog to another, what they will be reading is the best of the best (as determined by you) from this year. The blogosphere will be chock full 2012 writing brilliance! Encouragement, enlightenment, knowledge, bared souls, stimulation, hilarity, insecurities, success stories! All on display…the very same day. And it couldn't be any easier to take part...no writing necessary! 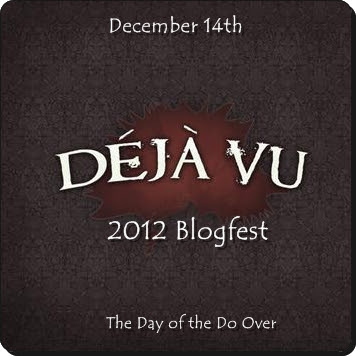 A Deja Vu blogfest? Sounds great! I'm in. I always like reading everyone's greatest hits :) I'll have to consider posting my own. What a good idea! Thanks for doing this! Should be fun. I'm in. No excuse for not posting a blog on this one, right? Great idea. Cheers. Might be a browser this time around. I had such a long hiatus -- I don't feel like I have a post that missed out...but I sure as heck know I missed a LOT of good stuff while I was away. Thanks for finding a way to catch me up again! Awesome idea - this sounds like fun! Sounds like fun... my blog is fairly new so I might need to be sneaky, but I'll figure it out! I enjoyed doing this last year. It's a great way to highlight old favorite posts (or even newer ones that didn't get much response). I'm in again. I'll be ready. I have my post in mind. I'm in! I can't get the thumbnail picture to work? Glad to see you're doing this again, but I can't sign up. I'm sure it's me but it won't take my URL. I think Mr. Linky is a cousin to Blogger and hates me too. Can you sign me up and let me know. Sorry, dumb blonde here. Awesome! I'll start looking today! I'm not so sure about my writing brillance ... Hope it is a post that is enjoyable. I've linked in - thank you for hosting! I'm in--this sounds like fun! Perfect timing...I had no idea what to post for Friday! Thanks for hosting! Great idea. I'm looking forward to seeing what everyone comes up with. Thanks for organizing! Thanks for hosting such a great blog hop! I'm a new follower! And, I signed up too! I'm late to the party, but caught it on Lee's page! This is a great idea. Hope I'm not too late to sign up. 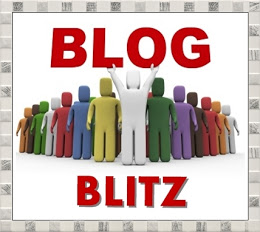 Just wanted to stop by and say thanks for the opportunity to revive a posting in your Deja Vu Blogfest!